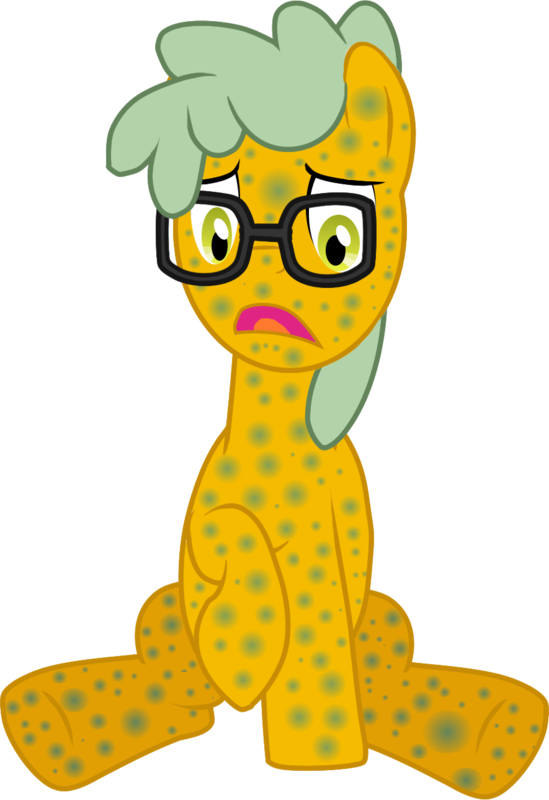 A pony who has Hypochondria? I have nothing for a name...but I'll try to come out something, that is neat sounding! They are still not good enough, I'm just brainstorming ideas , maybe to inspire you too. I'm on the job. "Nettle" maybe? It's green, and it's a herb, that causes a lot of skin irritation.